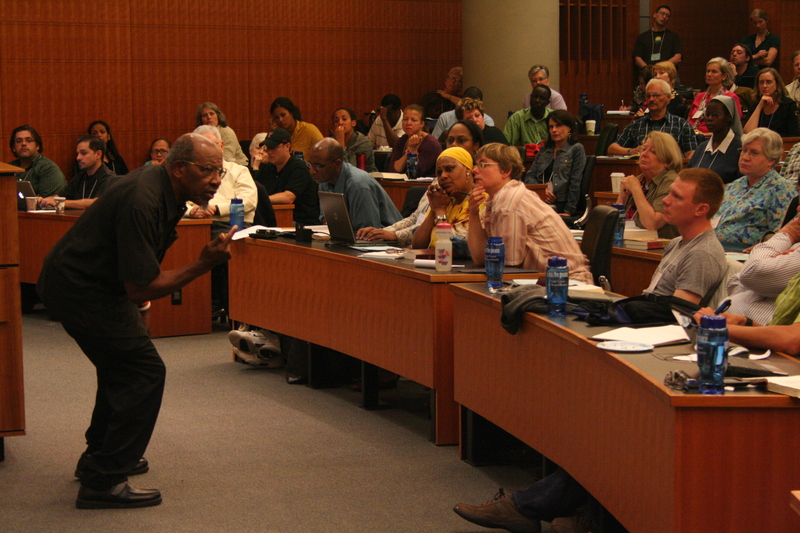 At the top of the list of leaders whose life I want to remember and whose faith I want to imitate is Dr. John Perkins. There is nobody I personally know who has better exemplified a way of life in Jesus that leads to both personal transformation and societal transformation. I will never forget the first time that I spent a week with Dr. Perkins in his hometown of Jackson, Mississippi. I had never seen a city so impacted by the life of one person. As we toured the town I saw health clinics and youth centers started by him and his ministry. I walked in and out of dozens of homes that had been built in partnership with families that had grown up in poverty, and who now owned their own place. I saw gardens and playgrounds built by his ministry there brimming with joyful children. It was truly amazing. That became the inspiration for hundreds of men and women around the country to holistically “love their neighbor” in the communities where they were respectively called. This collective commitment led to the forming of the Christian Community Development Association (www.ccda.org), and I am eternally grateful for that. There is not a group of practitioners and theologians that have impacted River City more than they. The life of Dr. Perkins is at the center of all that, and I consider him one of my spiritual fathers. There are many things I have learned from him, but the nature of faith and courage are at the top of my list. Dr. Perkins is one of the courageous people I know. There are few people who have faced as much fear as he and lived to tell about it. His story began in 1930, born into a two-bedroom house located on a cotton plantation near the small town of New Hebron, Miss. The house had no indoor plumbing, no running water and no electricity. He never knew his birth father, and his mother died of malnutrition when he was just an infant (it is incredibly moving to hear him share about the deep sadness he felt when he was old enough to understand that while he was nursing at his mother’s breast she was simultaneously dying of starvation). He had no parent to lean on growing up, so fears of abandonment and isolation were always nearby. Despite growing up in a violence and racist time in our country’s history, and despite the fact that he was essentially orphaned, Perkins rose up to become one of the most active Civil Rights leaders. It didn’t come without cost. On a horrible night in 1946 Perkins watched his brother Clyde murdered in broad daylight by the town sheriff. As if the racist murder wasn’t bad enough, Perkins (as well as the rest of the town) had to come to grips with the fact that Clyde had just returned as a decorated war hero. Fighting against White oppression internationally didn’t buy Clyde any good will with the White community back home. Perkins saw hatred up close, and realized that there was little accountability for Whites that felt like they wanted to act out on their oppressive instincts. Amazingly, Perkins continued down the path of peaceful Civil Rights. Because of his commitment to Christ-centered love, he emerged as one of the most significant leaders in his city. Though his ascension was celebrated by those experiencing oppression, he was feared and despised by many of those that were in power. His family became frequent targets of the KKK, and they were beginning to receive death threats on an almost daily basis. Those who had willingly served under his leadership felt compelled to form their own security duty, and they placed the Perkins family under 24-hour, 7-day a week security. Loving their neighbor in such a hateful place was dangerous work. Things came to a violent head on February 8, 1970, when a trap was set out for Dr. Perkins. Two vanloads of black college students, chauffeured by two white VOC volunteers, left Mendenhall after a day of protest and picketing on the main street and town square. As soon as the vans crossed into the next county, the police pulled them over and ordered everyone out. The black students were lined up and patted down while the white driver, Doug Huemmer, a VOC volunteer, was singled out for special punishment and cruelly beaten. The other driver, Louise Fox, saw what happened from a distance. She rushed to a phone to call Dr. Perkins. What she didn’t know was that this was all part of the sheriff’s plan. The sheriff was looking for a way to arrest Perkins so that he could hand him over to the lawless guards in the prison. When Perkins got the news, he and two other men immediately left for the Rankin County justice complex. When they arrived, they were surrounded by twelve patrolmen who searched them, then hustled them inside the building. That’s when Perkins realized he’d been set up. What followed Dr. Perkins called the longest night of his life. The racial taunts and body blows turned into nonstop beatings. For two straight hours, in a musty room with cement walls and a bare floor, Perkins and his friend Curry Brown were beaten and tortured. When it was over, the students tending to his wounds were certain he’d be dead by morning. This is the point where the story becomes absolutely amazing to me. Perkins so badly wanted to give in to fear, anger, and hatred. He was certain that if he lived through this night, he would have to retaliate. And yet, despite being bruised and battered, Perkins sensed the presence of God come upon him, calling him to move instead toward healing and forgiveness. He heard God whisper a single phrase: “Love was the final battle.” He sensed God telling him that he would survive this night and that he was being summoned to step into a whole new realm of reconciliation. Love was the final battle, and he was going to preach that love to blacks, to whites, and to people of every tribe and tongue. The effect of this visitation from God took effect immediately. The fear and anger began to vanish, and Perkins looked directly into the eyes of those who were torturing him. He could now see beyond their hatred and bitterness, and he saw that it was actually they who were dominated by fear, not him. They had been taught to hate themselves and to hate black people, but they had no idea why. Blind fear was fueling their actions. What Perkins saw through his broken vision was people who were lost, confused, and broken. He could see firsthand what the hatred of racism did to the human heart. He was certain in that moment that the love of Jesus was what they needed. Love was the final battle. Dr. Perkins rarely tells those stories, because it is not in his nature to point towards his personal victories. But when I visited the jail where he was tortured, and went to the grave of the sheriff who shot and killed his brother, I began to see the details of what he had gone through. This was a man who knew fear, faith, and the necessity of courage. That is why he is one of the leaders whose life I want to remember, and whose faith I want to imitate. When Dr. Perkins talks about fear and faith, I take him seriously, because he has known far greater fears in his life than I will ever face. I once asked Dr. Perkins what passage had most influenced his understanding of courage, faith and fear. 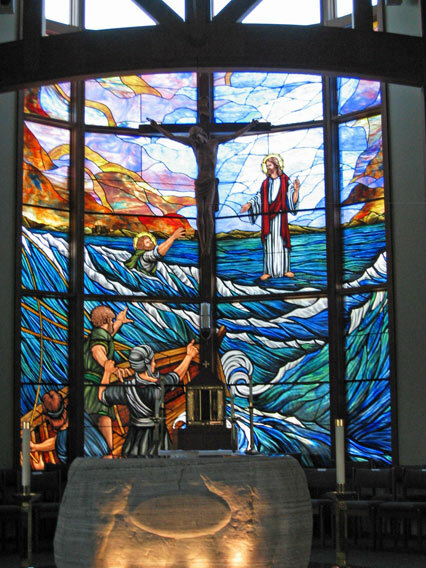 Without hesitation he took me to Matthew 14, the famous instance where Jesus walks on the water. “That passage is all about courage, fear and faith,” he told me, and he was absolutely right. Because that text meant so much to him, I decided it would mean a lot to me too. It was the text that influenced the way he thought of faith and fear, and he was someone whose faith I wanted to imitate. I love that quote, and have reflected on it many times. Perkins is so right – God never calls us to do something we can do in our own strength. Courageous faith is not about some blind leap into the unknown, and its so much more than just keeping the rules. It’s about cementing ourselves to Jesus and depending absolutely on his power and provision as he leads us into waters that are over our head. Great faith will inevitably leaving us feel like we are on the verge of sinking, because we are living a life that requires more power than we possess in our natural strength. And yet, when we keep our eyes locked on Jesus, the author and pioneer of our faith (Hebrews 12.3), we can experience things and go places that we never could have otherwise.